ZEISS ‘YOUANDEYE’ AWARDS has evolved within a very small period of time. From being just an idea, to being the grand success that it is, ‘YOUANDEYE’ AWARDS has come a really long way, within a small span of time. This, one of a kind award ceremony is now known to and loved by the masses. It’s been a game changer for all the previous winners as well as the participants, in ways more than one. So wondering how it actually feels like to be a part of the awards, or perhaps even winning one? We know we speak for all the participants and winners when we say, it’s an out of the world feeling! But you need to experience it by yourself to know what it really feels like. With all the pros that it already had, this time the team decides to add a few more. Not only the participants but also the voters, this time will be rewarded. With the Vote And Win Campaign, the voters have an exclusive chance to win a pair of eyewear from top brands. 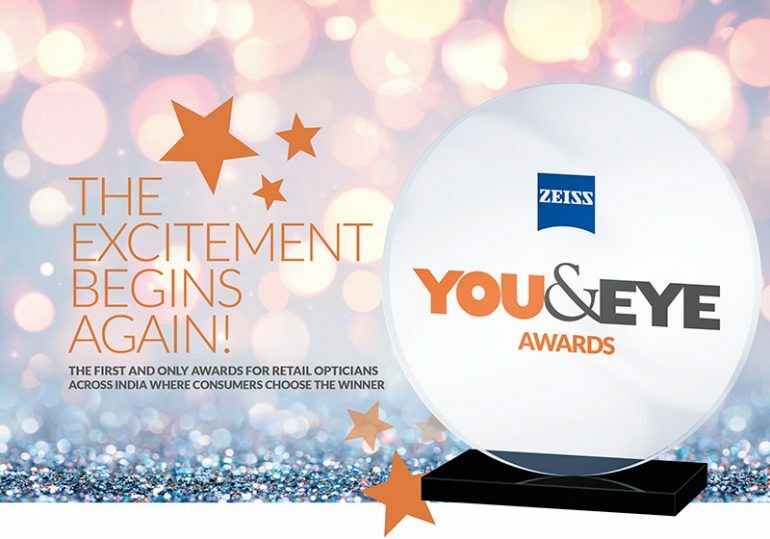 All that you need to do to win, is visit the YouAndEye site and vote for your favorite opticians. If you are one of the participants, the question popping in your mind right now is “How To Get Votes?”. The answer to it is very simple. With the internet being the new God, promoting oneself and gaining a few hundred votes is not a task anymore. Promotions on social media pages are effectively reaching out to customers. Here are a few brisk was for promoting yourself. Email/Whatsapp Campaign: Reaching out to your customers through email and whatsapp campaigns are undoubtedly the most effective modes for promotions. With the awards team supporting the participating opticians with an animated GIF to send out to their customers, opticians have been extending the call to vote, far beyond just their customer base. It can also be spread out to the personal contact list of retailers and the staff members. Again a huge potential database. Customer Feedback: Customer feedback can be a great deal. Many opticians have a standard practice of taking customer feedbacks. With every customer that walks in and experiences your fine services, tend to give positive feedbacks that may help you boast about your store. The feedbacks also help you grow your business. You can also ask your customers to rate you on www.YouAndEyeOnline.com. Rewarding the customers: Some optician offers a discount to all customers who can show a screenshot where they have voted for the optician. This is a brilliant way, as it works out two ways: First, it prompts the customer to come to your store and purchase something. And second, since the customer has already voted in the optician’s favour, he/she is more likely to come in with a more positive approach towards the optician. This leads to building a healthy customer-relationship that only gets stronger with time and efforts. If you haven’t enrolled yourself yet, what are you waiting for? Do it right away! For registration, all you need to do is, visit the site, sign-in and follow a few simple instructions mentioned. Once registered, you are automatically eligible to participate. STAGE 3: VOTING Entries submitted for the ZEISS ‘YOU&EYE’ AWARDS will be available for online voting through www.YouAndEyeOnline.com. While we will do our bit in promoting every participant through our online portals, the participant can also reach out to end-consumers encouraging them to vote.